Trescon is founded and managed by a group of specialists with more than 6 decades of combined expertise in successfully developing business events, trainings and consulting for corporates, governments, associations and high-net-worth individuals across the world. Our advisory board members comprise of an ever-growing exceptional mix of senior-level industry veterans and successful tech entrepreneurs. With a deep understanding of the realities and requirements of the growth markets we operate in – we strive to deliver innovative and high quality business platforms for our clients. We produce highly focused B2B events that connect businesses with opportunities through conferences, road shows, expos, demand generation and consulting services. Our mission is to add value to our clients’ sales and marketing engagements, business development activities, and learning & development programmes. Trescon’s main business platforms are C-suite events, B2B bespoke events, Intelligent demand generation, Expos, and Investor connect. 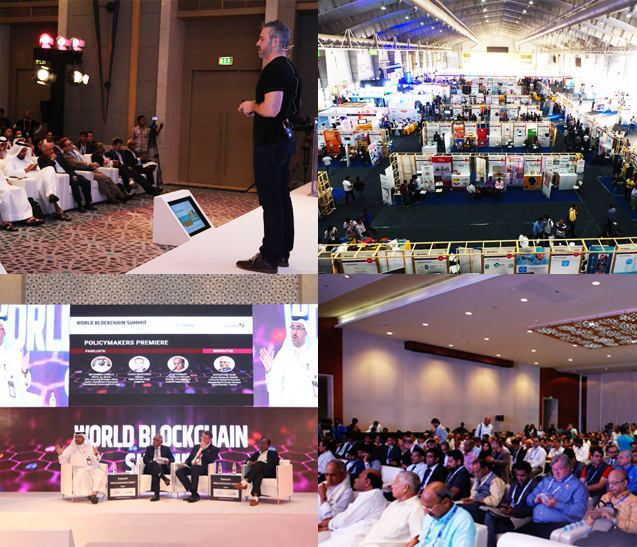 We met the industry leaders and blockchain technology experts – all in one place. Very promising event! It is a perfect platform. WBS met all our expectations. We are just excited to be here! It was a great launchpad for us to tell the whole world about our upcoming projects and its benefits. Majority of the attendees were decision makers and key influencers. We are confident of doing business very soon. Let us come together & collaborate along with event leaders like Trescon, to embark the exciting digital transformation journey. The parallel conversations during luncheon & networking has helped us in cutting-down our sales cycle by months. We loved all the sessions and are very happy to be a part of this event. Great team & fantastic show.